Our May newsletter is now available! Circus Under the Stars (After Prom) photos are now available. You can go out to http://gcmsafterprom2012.shutterfly.com/333#151 to view the pictures and print. We hope you all had a great time! JJ Gardner is our April student of the month. He was nominated for this award by Mr. Mike Allen. JJ is the son of Teresa Gardner of Elliott, IL. JJ is a member of FFA and the freshman mentor program. He has participated in football & track all 4 years, basketball 3 years and wrestling 1 year. He is currently captain of the track team and was captain of the football team last fall. JJ has been on the honor roll all 4 years of high school. He was a 3 time all conference defensive lineman, 2 time all conference offensive lineman, and 1st all-state class a offensive and defensive lineman. He also participated in the rebuild Joplin project. JJ plans to attend McKendree University to major in sports management and play football. The April 2012 Newsletter for GCMS High School is now out! Check it out below. To help our local businesses and the jobs they provide, encourage all consumers to spend their money in Gibson City and increase sales tax revenue. This program is an investment in our local community. Beginning May 1, 2012, purchase one item per household at $100.00 or more and pay 6.25% sales tax (minimum expenditure of $106.25 including sales tax) and receive $100.00 in Gibson Area Chamber of Commerce “Gibson Bucks” to be spent at any participating businesses by September 31, 2012. · Deadline is Friday, April 20th. *** Completed essays should be turned in to the office at the High School no later than Friday, April 20, 2012 and will be picked up weekly. Please be sure to put your name on the essay when completed. In addition to the $100 in “Gibson Bucks” being awarded to the winning essay, there will also be $100 in Gibson Bucks given to both the GCMS Educational Foundation and Athletic Booster Club. Ron Metz, former GCMS football coach, was inducted into the Illinois High School Association Hall of Fame on Saturday, March 30. The following biography was presented at the induction ceremony. Following military service and graduation from college, Ron came back to his alma mater Forrest-Strawn-Wing to begin coaching as an assistant. After spending sixteen seasons as a head coach for Cornell, Avon, and Gibson City, he retired to enter the banking business. Through his congeniality and an enormous amount of leadersip, Ron brought integrity to every program where he coached. Challenging students, he developed tradition which established an atmosphere where football was to be taken seriously. As a result, Ron’s record is reflective of it. At the three schools, he stands at 82-59-3. As his teams swept to two Wilco Championships at Avon, they also finished two campaigns unbeaten. In his last coaching assignment, Ron revived the Gibson City program. Commanding those he coached and worked with, he took Gibson City from being the doormat of the Wauseca Conference to that of being very competitive. In eight seasons, Ron produced a conference championship and made the playoffs twice. In one period of time between Avon and Gibson City, Ron’s squads had a nineteen consecutive game win streak. 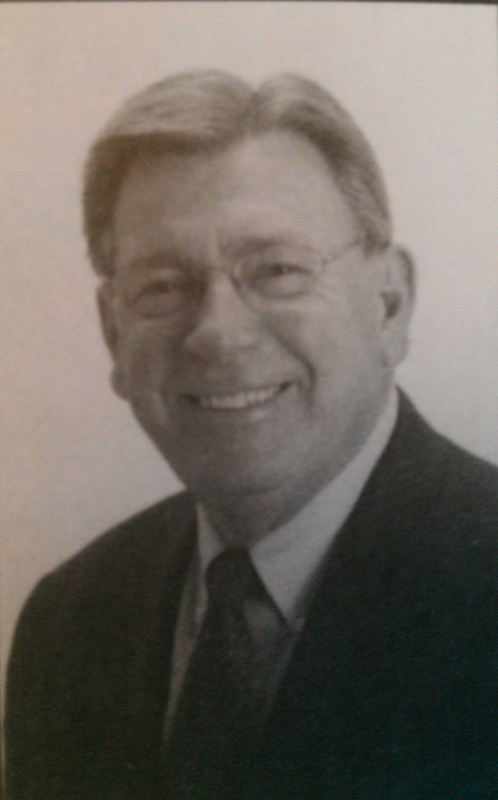 In the years at Gibson City, he spent time serving the school district and community. Ron is the past President of the Lions Club. For eight years he was Athletics Director. He eventually came back to the high school and worked as an assistant for four years. During his time at the school, he was on the IHSA Football Advisory Board, started the flag football league for youths and acted as Director of the ICA Football Region. Ron also selected players for the ICA/Shrine All-Star game. We congratulate Ron for this well deserved honor and sincerely thank him for all his service to the GCMS community! A group of GCMS students has returned to help rebuilding efforts in Joplin Missouri. They were featured in a local news story that is available here. We are proud to have such wonderful and selfless students as a part of our community! This week is National FFA Week and chapters around the Nation are celebrating with dress up days and community service events. This week the GCMS FFA is celebrating with Chapter T-Shirt Day, Official Dress Day and an appreciation cook-out for the high school staff. Friday is also the final day fro strawberry sales! Please send your orders with an FFA member ASAP, or to Miss Novotney at novotneyk@gcms.k12.il.us. This Saturday will culminate this week’s events with the 8th Annual Scholarship Auction with lots of great items this year! The Silent Auction will start at 11:30-12:45 and a pork loin luncheon will also be served then. The live auction is to start at 1pm sharp. Come on out an support GCMS FFA! HAPPY FFA WEEK FROM THE GCMS FFA CHAPTER!